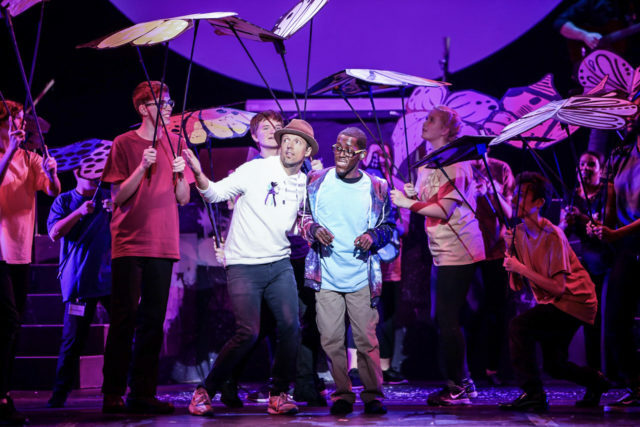 Students from the School of the Performing Arts in the Richmond Community’s (SPARC) LIVE ART program will join Grammy award-winning artist Jason Mraz for a live performance during the Today Show’s Summer Concert Series on Friday, Aug. 10. Twenty SPARC students with and without disabilities will help Mraz perform three songs during the concert, including the recently released “Have It All.” The youth performers live throughout the region, including the city of Richmond, along with Henrico, Chesterfield, Hanover, and Goochland counties. Participants are preparing for the concert through four rehearsals at SPARC’s headquarters in Scott’s Addition. SPARC’s LIVE ART initiative combines a variety of visual and performing arts classes for students with a range of disabilities alongside typically developing students over a one-year period. The program is in its sixth year. Approximately 200 SPARC students recently participated in the annual LIVE ART mega-show in June at the Altria Theater. Over the years, several prominent artists in addition to Mraz have performed alongside SPARC students for Richmond crowds, including Matchbox 20’s Rob Thomas, Sara Bareilles, Colbie Caillat and k.d. lang. The Today Show appearance will be the second time the LIVE ART program has gone outside of Richmond. Earlier this year, SPARC students traveled to Washington, D.C., to perform in front of Congress. For more information about SPARC and the LIVE ART program, please visit: http://www.sparcrichmond.org/.